Ads featuring e-cigarettes with flavors like chocolate or bubble gum appear to increase kids' interest in buying and trying an e-cigarette, a new British study has found. However, the ads don't increase the overall appeal to kids of either smoking traditional tobacco cigarettes or using e-cigarettes regularly, the researchers reported. 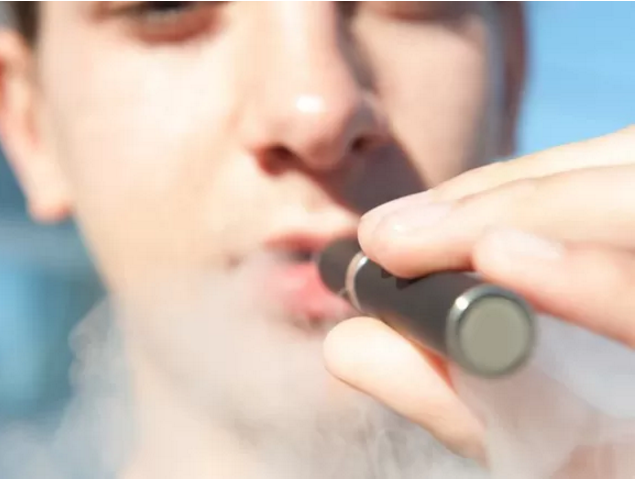 E-cigarettes, or electronic cigarettes, are battery-powered devices that heat nicotine and flavorings to create a vapor that is inhaled by the user. E-cigarettes are marketed in thousands of different flavors, including some that seem to appeal directly to children, the researchers said in background notes. Flavors other than menthol have been banned in tobacco cigarettes in the United States. But, e-cigarettes currently remain unregulated and companies are free to add flavors, said Erika Sward, assistant vice president of national advocacy for the American Lung Association. "We know that flavors appeal to kids, and that is what the e-cigarette industry is banking on," Sward said. "Kids like sweet flavors. That is why there are sugar-sweetened cereals. These flavors have always appealed to a kid's palate." "Vaping" flavors for e-cigarettes include products marketed as tasting like Sweet Tarts, Hawaiian Punch, Kool-Aid, Gummi Bears and Froot Loops, said Cliff Douglas, director of the American Cancer Society Tobacco Control Center. "It doesn't get much more blatant," Douglas said. "It's quite clearly targeted at kids." A recent U.S. Centers for Disease Control and Prevention study found that nearly seven in 10 middle school and high school students have been exposed to e-cigarette advertising. And experts are concerned that kids might be further enticed to try e-cigs if companies play up flavorings in the ads, Sward said. To examine this possibility, the University of Cambridge researchers recruited about 600 kids, aged 11 to 16, and randomly assigned them to one of three groups. One group looked at ads for candy-flavored e-cigarettes, another saw ads for non-flavored e-cigarettes, and the third group saw no advertisements at all. "Answering this question is important because e-cigarette use amongst children in the last year has tripled in the USA [from 4.5 percent to 13 percent] and almost doubled in England [from 5 percent to 8 percent]," said lead author Milica Vasiljevic, a research associate at the Cambridge Behavior and Health Research Unit in England. The school children were then asked questions to gauge the appeal of using e-cigarettes or smoking tobacco, the perceived harm of smoking, how much they liked the ads, and how interested they might be in buying and trying e-cigarettes. The children shown the ads for candy-flavored e-cigarettes liked the ads more, and expressed a greater interest in buying and trying e-cigarettes than their peers. However, showing the ads made no significant difference in the overall appeal of tobacco smoking or of using e-cigarettes -- in other words, how attractive, fun or cool those activities seemed to kids, the study found. The study findings were published in the Jan. 17 online edition of the journal BMJ Tobacco Control. "The primary question they [the researchers] set out to ask in this study was whether e-cig advertisements serve as a 're-normalization' to smoking," said Cynthia Cabrera. She is president of the Smoke-Free Alternatives Trade Association, an e-cigarette industry advocacy group. "In this study, the answer was 'no.' This experimental evidence suggests that what e-cigarette advertising influences is attitudes towards vaping, not smoking, in line with basic marketing and advertising theory," Cabrera said. But, Douglas said, while the ads didn't make tobacco seem more attractive, experts are concerned that kids who try e-cigarettes will become addicted to the nicotine contained in the products and ultimately wind up smoking tobacco. "This research highlights the likely impact of the use of flavors in interesting kids in using these addictive drug-delivery products, and also highlights the concern that this process may lead brand new users of nicotine eventually into conventional cigarette smoking, which is demonstrably more harmful," Douglas said. The U.S. Food and Drug Administration has announced its intention to regulate e-cigarettes, and is expected to issue rules giving it that power in the very near future, Sward said. But that's just the first step, Douglas said. The FDA then would have to issue specific regulations regarding e-cigarettes, and those could take months or even years to finalize. "The FDA does need to step in, without question, and as soon as possible," Douglas said.